POLARaudio recently invited leading systems integrators to attend two events organised to present the Behringer Eurocom range of products. 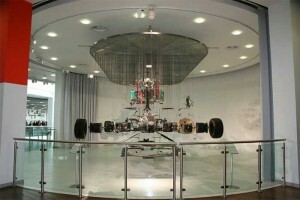 The first of the events took place at the Music Group Research and Development Centre in Manchester. Set up by Music Group as a UK Centre of Excellence for developing cutting edge digital audio technology, the facility occupies 24,000 square feet and is home to many of the group's 300 UK employees. 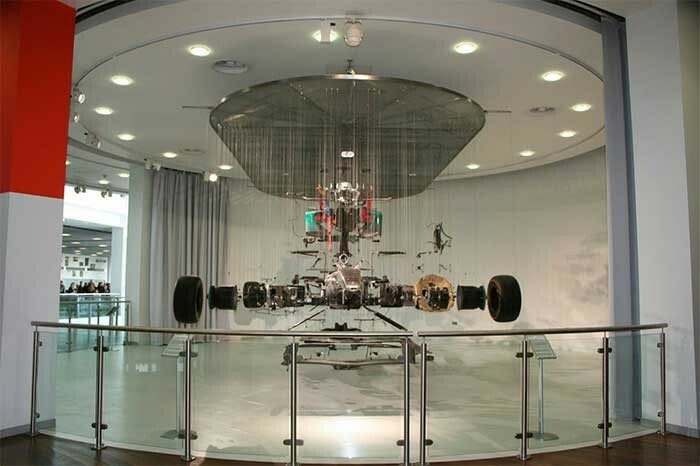 Two days later, Mercedes-Benz World at Weybridge provided a fitting backdrop for the presentation, in a similarly high-calibre environment of merit and quality. Fundamental to purchasing choice will be how the price of a product relates to the functions it can perform and in the case of the Behringer Eurocom range, the ratio of 'feature rich' to 'money spent' is highly competitive to say the least. The development of Eurocom could be said to have been overseen by integrators for integrators, taking advance account of the kinds of issues arising on a daily basis. The net outcome of this approach is that the products are designed to 'fit' wide-ranging applications, rather than demanding that the integrator spend valuable time working out 'solutions'. A most interesting aspect of the presentation covered the manufacturing element, undoubtedly a key part of Behringer's ability to deliver the products in the Eurocom range at such competitive prices. Behringer products are all manufactured at Music Group City in Zhongshan. This factory-complex integrates (to continue a theme) every facet of the production chain in one location. The strategic positioning of meticulously planned and equipped buildings, including those for electronics, speaker and wood production, R&D, administration and warehousing, contributes to an uninterrupted flow in the manufacturing process. This application of integrated production principles has heralded significant increases in efficiency and quality control, leading, inevitably, to better value for the customer. A further indicator of the quality of the operation is the high level of staff retention in a traditionally very fluid labour market. POLARaudio MD, John Midgley was buoyed by the events: "Both days were extremely worthwhile and inspiring to all present. Speaking to some of the guests, it became abundantly clear that they had found the presentations very enlightening and would have left with a widely enhanced view of what is, frankly, a fantastic product range. The message, delivered so articulately, was that Behringer Eurocom is a high quality range worthy of very careful attention on the part of systems integrators." He concluded: "The Eurocom range offers state-of-the-art, hi-tech digital flexibility with an almost 'analogue' simplicity. More and more integrators are taking note and a rock solid future as a leading professionals choice looks assured." Music Group SVP, marketing Costa Lakoumentas added: "Everything about the Eurocom line is different; the industrial design, the rich feature set, latest technologies and of course Behringer’s legendary value proposition. We wanted a distribution partner capable of properly representing the products’ benefits while adding value by supporting integrators across the UK. POLARaudio are that partner, and together we are raising the bar in installed sound."